List of campaign running stores. 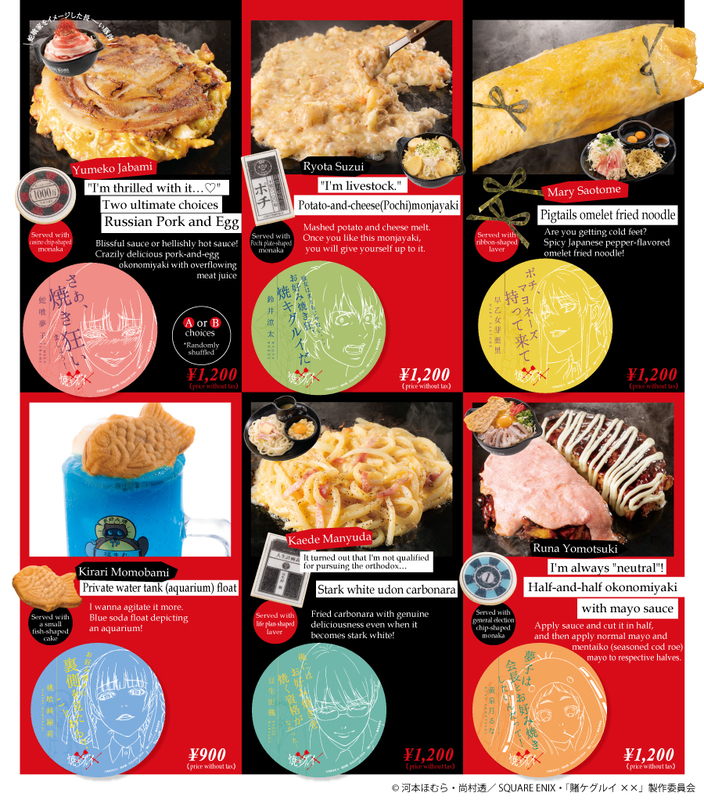 We will present original-design goods to those who have ordered a dish from the collaborative menu! 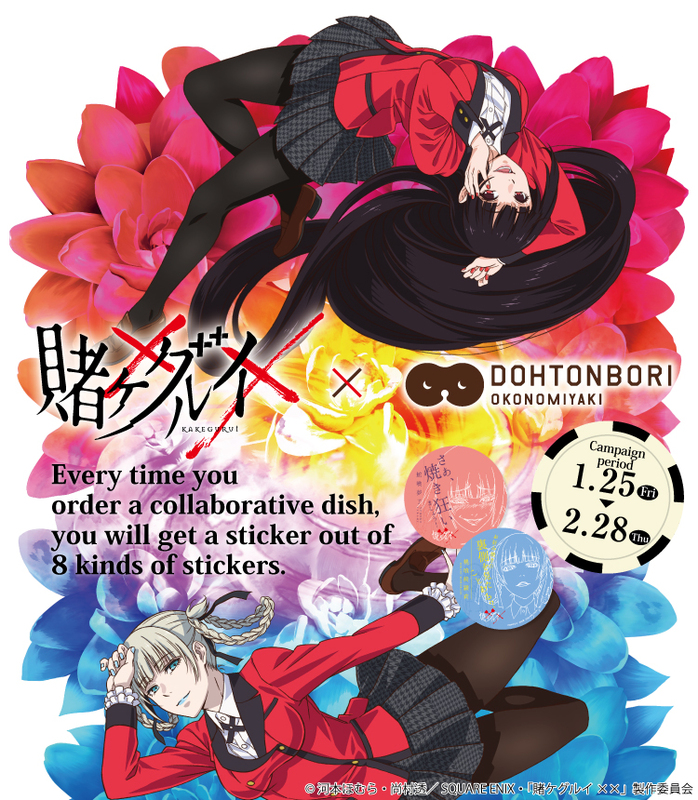 A collaborative menu with “Kakegurui××” will be available for a limited period from Friday, Jan 25, 2019. 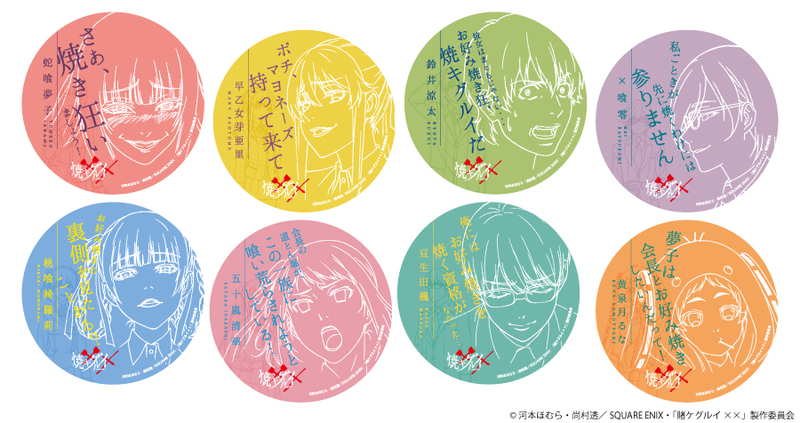 Every time you order a collaborative dish, you will get a sticker out of 8 kinds of stickers. *Stickers will be distributed randomly. You cannot choose a design.